One of the quaintest-named brands in the business, Sheep Dip’s origins lie in the West Country of England but it quickly found its way back over the border into Scottish ownership. Sheep Dip, thankfully, tastes nothing like sheep dip. Its moniker was selected to ensure West Country farmers could put invoices for cases of it through their books without their accountants noticing. Allegedly. The recipe of 16 Highland and Speyside malts is said to have stayed the same since its inception, and although it doesn’t carry an age statement, it’s claimed the malts used are up to 20 years old. Despite the use of mature whiskies, Sheep Dip is still a sprightly blended malt, with a floral nose and malty, warming character. Brand extensions have so far included Sheep Dip Islay, 1999 Amoroso Oloroso and 1990 Old Hebridean variations. Today the US is one of the brand’s biggest markets. Together with its brand partner Pig’s Nose, it commands sales of 40,000 cases a year. Sheep Dip was first bottled by a gentleman farmer and publican as his in-house whisky around 1974. The pub was in Oldbury on Severn, and as its popularity grew with the locals, so the small concern of MJ Dowdeswell & Co Ltd grew. It eventually managed to supply the likes of Fortnum & Mason and enter the US, Canada and New Zealand markets. The Original Oldbury Sheep Dip, as it was known, was an 8-year-old blend of 16 single malts and still adheres to the same recipe today. Blending and bottling was carried out by George Morton Ltd in Montrose, and as the brand developed it was eventually acquired by the Invergordon Distillers Group, which itself became part of Whyte & Mackay during a hostile yet drawn-out takeover in 1993. In 2005 Whyte & Mackay chief operating office Alex Nicol decided to venture out on his own, establishing the Fife-based Spencerfield Spirits Company and persuading his former employers to let him take Sheepi dip (and its stablemate Pig’s Nose) with him. 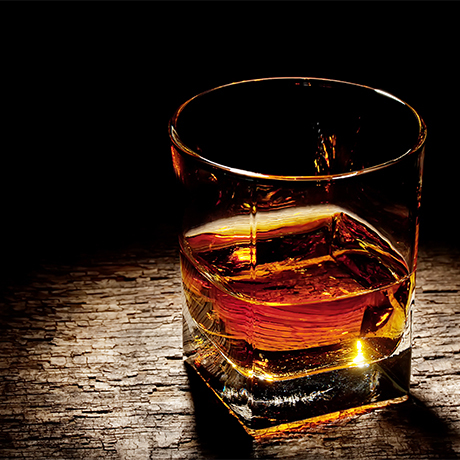 However Richard Paterson, master blender at Whyte and Mackay, continued to oversee the blending of the brand. 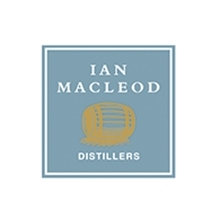 Spencerfield, which also notably created the Edinburgh Gin brand, was in turn taken over by Ian Macleod Distillers in late 2016.